Blog > Events > Come To Our Table: 2nd Annual Farm to Fork at McDonald Farm Registration Open! Come To Our Table: 2nd Annual Farm to Fork at McDonald Farm Registration Open! We had such an amazing time at the first Farm to Fork Dinner at McDonald Farm last summer, we've decided to do it again! All are invited to come to our table for an evening of simple pleasures and exquisite food in the middle of McDonald Farm's 60 peaceful acres. 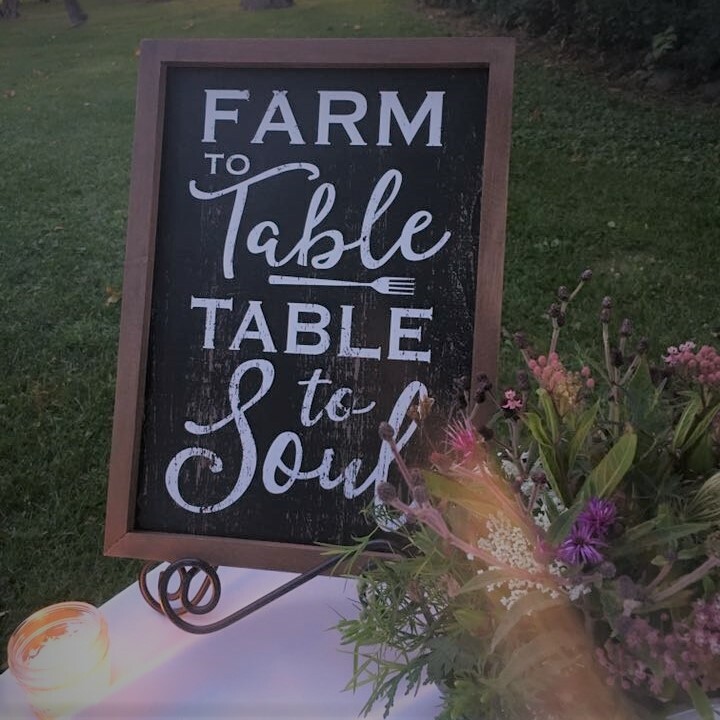 The second Farm to Fork Dinner at McDonald Farm will take place Saturday, August 18th, 5:00pm to 8:30pm at The Conservation Foundation's McDonald Farm, 10S404 Knoch Knolls Road in Naperville. A four-course world-class dinner, including wine, prepared by Chef Paul Virant, owner of three critically-acclaimed Chicago-area restaurants. 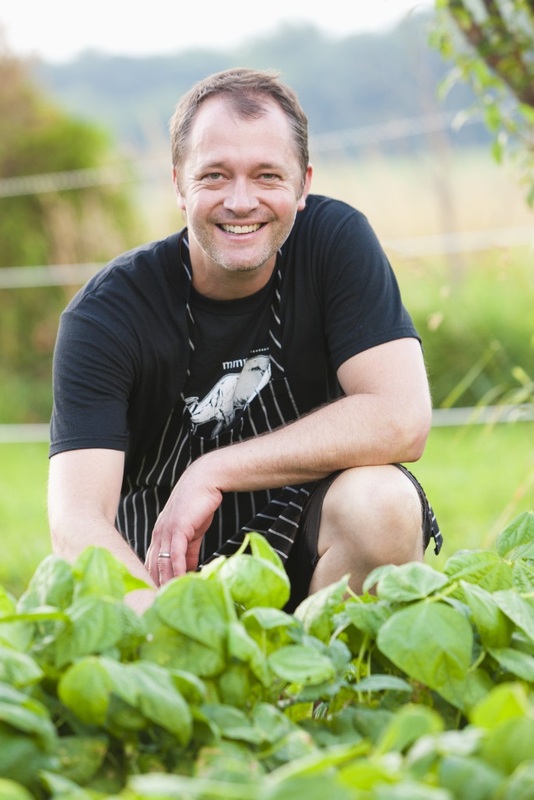 Chef Paul has won a cornucopia of awards and has an insatiable passion for cooking with local food. Organic vegetables grown right on McDonald Farm by the Green Earth CSA, now a program of The Conservation Foundation after our merger earlier this year. We can personally attest to the care and attention given to each plant, and you can taste the love! Tickets are $150/person for Members of The Conservation Foundation or the Green Earth Institute, and $175/person for Non-Members. Registration is limited to the first 150 guests to register by Noon on Friday, August 10th! As far as what to wear, you can be as fancy or as casual as you'd like, but be comfortable - we'll be dining outdoors on a farm. Dinner will be set up under a tent so we will be sheltered in case of rain, but there is no rain date for this event. Please call Chere at 630-428-4500, Ext. 117 or email her with any questions. All food will be served family style. If you have dietary restrictions or concerns, we will be posting the evening's menu once it is set to help you decide if you can get your fill from the dishes being offered. This is going to be an unforgettable evening of deep nourishment as we feast on conversation, natural beauty and the fruits of these 60 cherished acres. We hope you will join our gathering! "...I wanted to create an extension of my home, where people can come and enjoy good food and drink in the company of people they care about. My goal is to be a small part of my guests' enjoyment of every morsel and drop of life." We will be feasting on the culinary stylings of nationally-acclaimed Chef Paul Virant, owner and Executive Chef of Vie in Western Springs and Vistro in Hinsdale. Chef Paul is known for his contemporary Midwestern cuisine that emphasizes canned and preserved ingredients. His philosophy of local, seasonal eating stems from techniques he learned on his family’s farm in Missouri. In 2012, Chef Paul released The Preservation Kitchen: The Craft of Making and Cooking with Pickles, Preserves, and Aigre-Doux, the first canning manual and cookbook authored by a critically acclaimed chef that creatively combines the technical aspects of canning with a chef’s expertise on flavor. Just last year, Chef Paul launched Jar Sessions, a locally produced, small-batch line of pickled and preserved products, collaborating with Midwest farmers to create the Jar Sessions collection of farm-to-fork products. He has also competed on Food Network’s “Iron Chef America”. Chef Paul earned a Michelin star in 2011.